Most people are unaware of the Radio Frequency (RF) radiation they are exposed to. Radiation is usually associated with radium, weapons, medical treatments, nuclear power plants and smoke detectors. Before we discuss covert cell towers and other numerous radiating antennas being installed with impunity, we should review the RF spectrum. This will be helpful in understanding how the radio spectrum affects us. We will not discuss HAARP, which is in itself a unique area of the radio spectrum in the shortwave band. B. UNCONTROLLED RF EXPOSURE: Radio Frequency devices of many types. The RD spectrum is regulated by the FCC in America, and other similar regulatory agencies that exist in other countries around the world through international radio agreements. Yet most of them appear to be very unconcerned about health effects. We will concentrate on the latter in this essay - UNCONTROLLED RF EXPOSURE. RF signals are without a doubt an invisible form of pollution. Most people see a smokestack smoking and scream "OH ! Look at that pollution !" But as we will see, this is not really the most immediate, serious health hazard. 1. FREQUENCY - Certain frequencies are absorbed in the body more than others. For example, the new riot control weapons the Pentagon have operates in the Super-High Frequency (SHF) region. This frequency is about 15 times higher than a conventional microwave oven. Although SHF is not absorbed into the skin, it boils perspiration on the skin causing pain. 2. DURATION - How long you are exposed to the radiation, or how long the transmitter is "on." 3. DISTANCE - How close you are to the antenna. Energy levels decrease with the square of the distance. 4. POWER LEVEL - What the strength of the signal is. This is measured in microwatts, milliwatts and watts. One microwatt is a millionth of a watt, One milliwatt is one-thousandth of a watt. For example, 1,000 milliwatts is one watt. Cell phone power levels are often in the 100 milliwatt to 4 watt class. In the past, older bag type cell phones people carried around, were up near 4 watts of power. Getting a strong signal was no problem. Today's pocket cell phones are in the 100 milliwatt area. Reducing the power goes with size reduction and a smaller battery. This also reduces cell size, which actually is beneficial as I'll explain latter. 5. SUSCEPTIBILITY - Like tobacco smoke, you cannot tell if you will or will not become ill from RF exposure. But RF heating of body tissues and possible DNA alteration (mutation) happens to 100% of the people exposed to RF. The amount of heating is determined by a combination of the four factors above. The immune system is responsible for cleaning up mutant DNA. But can the immune system clean it out all the defective DNA and dead cells, and do this indefinitely? Modern medical science knows there are limits to how much of an assault on the body the immune system can deal with. For those familiar with radiation exposure hazards, the striking parallels to radioactivity are obvious here. RF Frequency is similar to the radiation type, like Alpha, Beta or Gamma. In fact, each of these particles move as a frequency above that of ultraviolet light, and are actually composed of high speed particles. Each of the particle types affects the human body and systems in different ways. RF power level is like the number of particles per second of a radioactive source. Both duration and distance also translate into the realm of radiation exposure. We know that certain radioactive particles from Alpha particle emitters cause the most damage to lung cells when inhaled. Alpha particle ionizing radiation alters DNA in cells, and can create pre-cursor changes leading to cancer. The reason for discussing the above subject, is to show that anything which alters cellular DNA can be extremely unhealthy. And this is both nuclear radiation and RF. There are also chemical and effects from ultraviolet as well. For our European friends, please note that all the frequencies referenced below are for the American and Canadian radio spectrum. The lowest frequencies are radio waves, that are actually the same as frequencies as the audio sound which comes out of your speakers. This called VLF, or Very Low Frequency. These waves have wavelengths measured in thousands of miles. They pass through the body without damage. Commercial AM radio signals, use waves that are also quite long and pass through the body with relative ease. These are also waves, whose wavelengths are measured in hundreds of feet. Shortwave signals are also very long, and this part of the spectrum reaches up to a part of the military band, located below TV channel 2. Decades ago, people could go to a doctor for aches and pains and be treated with a Diathermy machine. This machine was essentially a shortwave radio transmitter, and operated with a curved antenna that fits the human body. When placed against the skin, the antenna radiated energy that was absorbed deep in the body's tissues. A sufficient power level of RF energy will cause currents of electricity to flow in these tissues, thereby creating warmth. These machines are probably outlawed by now and died a quiet death in America. RF energy causes molecules to collide with one another creating heat. This occurs in tissues like muscles, as well as blood. FM stations (located in the radio band near TV channel 6) and over the air television channels 2 through 13 are all in the VHF band. These signals can also pass through the human body without harm. These waves are measured in several feet. When you look at any TV antenna, multiply the width of the antenna by four, and that will be the wavelength of the wave from the TV transmitter. Hence the term 1/4 wavelength, which is a design rule for most antennas. Television channels 14 through 83 are in the UHF region. Channel 83 is actually just below analog cell phone frequencies. WHERE DOES MICROWAVE BEGIN ? We are now entering the realm where RF begins to affect the human body at a distance. It is generally considered that any frequency above TV channel 83 is microwave. There is a "fuzzy" line between microwave and non-microwave radio signals. In fact, the upper channels of the UHF band in America are considered the near microwave band. Radio signals operating with short wavelengths measured in centimeters, can increase the temperature of water and tissues at a distance. Although most people equate this only with microwave ovens, this effects happens at lower frequencies. Complex proteins present in blood also break down into toxic materials. These invisible, toxic compounds can cause increasing muscle, joint and nerve pain in people over time as toxins build up in the body. Alteration of proteins and toxin generation not only happens to the body when exposed to RF, but also to food in microwave ovens. Many people have put their microwave ovens on the curb, when they discovered their pain was linked to microwaved food. The effects of microwaved food on the immune system are largely unexplored by mainstream science, but are well known by those that suffer from them. In reality, Diathermy treatments work on the same principle that microwave ovens operate on, except that microwave ovens use higher power levels and higher frequencies. In later years after Diathermy became popular, it was found that higher RF frequencies allowed heating at a distance, without direct electrode contact. For many years, everyone treated microwaves as nothing to be concerned about. No one learned from the lessons of Madam and Pierre Curie who tinkered with radium a century ago, and died from radiation poisoning. Remember the comparison of RF with radioactivity above? Several decades ago, a man walked past the front of a telephone relay dish on the roof of a building. He suffered no immediate ill effects, but died some days later in the hospital as his organs began to fail. His organs had absorbed the microwave radiation, and were permanently and fatally damaged. He was essentially cooked and didn't know it. If he has walked past a sufficient amount of Plutonium, the same thing would happen but in a different way. He would have still died. Today, ALL microwave transmitting dishes and antennas must have radiation stickers on them, if people can become near them. Located on the front nose-cone of aircraft are small warning stickers if they have radar. The radar MUST be turned off when the aircraft is on the ground, as it is hazardous to ground personnel. Warning stickers use the universal radiation warning symbol, of three triangles inside a circle. This the identical symbol used for radioactive materials. Many in the armed forces know the stories and often unpleasant fate of those that unknowingly walked in front of operating aircraft radar. C band microwave remote uplink trucks used at sports events use power levels typically on the order of 120 watts. Fortunately all the RF energy is pointed upwards towards a satellite more than 22,000 miles away. Now with all that said, how are WE being irradiated? The effects of low level radiation are only now beginning to be understood - from the efforts of lab research around the world. There are a number of RF frequencies the FCC has set aside, that have unlimited civilian use. Although related unlicensed transmitter operation is usually limited to short range digital devices like garage door openers and cordless phones, low level RF may have a cumulative effect that is not yet understood. For a more in-depth look at complex microwave frequency allocation assignment by the FCC see . 1. CELL PHONES - Here the antenna is very close to the brain, and many studies have been done on this. Recent studies done in Europe show that tumors can be induced in rats, which are exposed to the same power levels and distances that normal cell phone users are from the phone's antenna. 2. CORDLESS PHONES - In reality, these are as detrimental as cell phones because they operate near the microwave frequencies of cell phones (microwave.) In some ways, they could be worse than cell phones because many people spend more time on these. 3. GARAGE DOOR OPENERS - A source of radiation when the button is pressed. 4. WIRELESS PDAs and NOTEBOOK COMPUTERS - These work very much like cell phones, with the same potential effects. 5. MICROWAVE ALARM SYSTEM SENSORS - This is one area NO ONE talks about. These are common in homes and businesses. Although the power level is in the microwatt realm, one may sit exposed to it all day, every day, sometimes just a few feet away. Again, think about it in terms of exposure time vs. energy levels. 6. BLUE TOOTH WIRELESS DEVICES - Operate in the lower microwave region. 7. WIRELESS VIDEO CAMERAS - Operate in the microwave region above analog cell phones. 8. 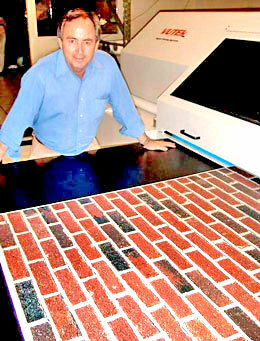 TV EXTENDERS - Used to transmit video and sound without wires from one room to another in a home. These also operate in the microwave region above analog cell phones. 9. SATELLITES - Walk outside, anywhere, and you will be bombarded with RF from satellites, both civilian and military. If you could visibly "see" these sources, you would see points of "light" from the 22,500 mile high Clarke belt of stationary satellites. This belt of satellites rise from the western horizon and arcs across the sky to the east. There will also be hundreds of moving lights in the sky from lower geosynchronous orbits. Some of these are also satellites the military uses that send signals to earth, too. Many military satellites have high-powered optical sensors, with huge telephoto lenses that watch everything from orbit. These satellites orbit about 200 miles up and contrary to public belief, can actually read a newspaper headline from orbit. The portrayal of distant fuzzy images as seen in "Patriot Games" is far from the truth. And these satellites bombard the earth with more RF radiation as they send their data to earth. 10. POLICE RADIOS - Police officers now have antennas on their microphones, also have a similar risk to that of cell phone users since the antenna is located near the head. There is also radiation from the antennas on their vehicles, too. 11. WALKIE-TALKIE TYPE RADIOS - In decades past, business radios operated in the lower VHF band. These were known as business band radios, and are still in use today. No known ill effects are known to have originated from these radios. Today's family channel radios operate in the 400Mhz UHF band, near TV channel 14. 12. DOOR OPENERS - Often used in grocery and discount stores, these open the door when you pass under a microwave motion detector. You pass directly under the unit when you enter or exit the store, receiving more microwave radiation. 13. SECURITY FOR STORES - Used in WalMart, video rental and other stores, these exit portals generate an RF field you are forced to walk through upon entering and exiting the store. The square "Be Kind Please Rewind" tag is often a tuned printed circuit behind the label, that will trigger the security system when passed through a portal at the exit. Libraries use a very similar system with thin resonating devices slipped into the spine of books. These systems operate in the lower microwave band, allowing the use of small coils (or no coils at all) because of the high frequencies employed. 14. CELL TOWERS - Last but not least, cell tower antennas which operate at power levels of about 10 watts FOR EACH ANTENNA on the tower. Some use higher wattage than that. These directional antennas divide a geographical area into cells of service. There are many more toys, products and devices too numerous to mention here. We are immersed in a virtual SEA of RF energy, with cell towers as one of the strongest continuous sources of RF energy. When you turn your cell phone on, the cell phone company carrier you have uses a computer network connected to all the cell towers, to invisibly command your phone to change to an available frequency. This is why numerous people can talk in a given cell phone area and not hear one another. When a cell phone is on, it transmits frequently to notify the phone company it is actually on. As you walk or drive, the cell system determines signal strength and switches you connection to another tower near you. Even when you are not talking, the phone can still radiate energy. If you have it in your shirt or pants pocket or on your belt, body tissues around the antenna on the phone are being irradiated with RF energy. This is an inescapable fact. Since this is a multi-billion dollar industry, it's very unlikely the public will be told about the health hazards of cell phones. This is about as likely as the public being properly informed about microwave oven risks. As you read on, you'll see the similarities between the two microwave based technologies. The closer to a radiating antenna you are, the higher the health risk there is. In an effort to increase channel availability for the increasing number of cell phone users, cells have to be made smaller. These are often known as microcells. 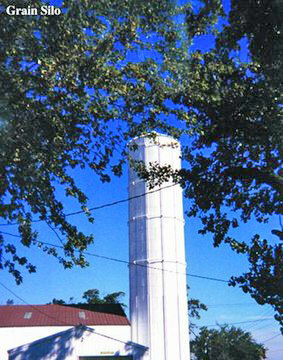 In the past, cell towers typically covered a 10 mile cell. Microcells today are often less than one mile, depending on local population size. More towers are required to be assured a cell phone will get a channel when talk is pressed, or when someone answers a cell phone. 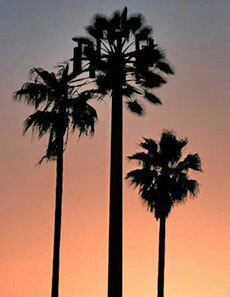 In 2002, industry officials stated that there were more than 128,000 cell towers across America. About 25% of these were hidden towers, and the remaining number of them were traditional types. Keep in mind that cell tower density is directly connected to population density. There are still parts of North America where no cell towers exist, because population density makes them economically unfeasible. 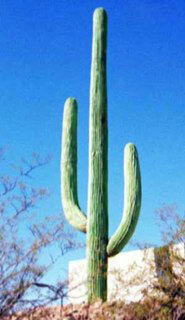 Antennas come in many forms, including trees, cactus, gas station signs and even replacement church steeples. 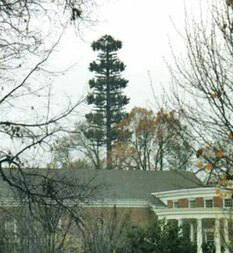 A "PINE TREE" THAT SUPPORTS 6 CELL PHONE CARRIERS. A money-making lease for a church at Redwood City, CA. We can't ignore Local Area Network (LAN) antennas. 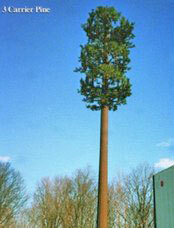 These are also a source of radiation, very similar to that of cell towers. Below is a picture from Mobile Mark's website of their office LAN antenna product. 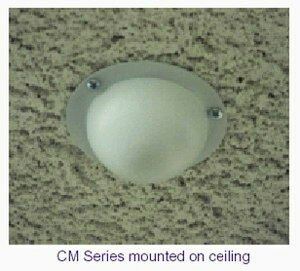 This is a local area network antenna that is ceiling mounted in an office area. What's a few more milliwatts among friends ? How would you like your desk right underneath this omni-directional antenna ? Would you volunteer to sit under it all day, every day ? Above: U.K. GASOLINE STATION SIGNS - IN AMERICA NEXT ? In England, angry mobs of people have torn down these gas station signs (like the one shown above) they learned to have cell antennas inside. When they asked workmen installing an antenna, "what are you doing ?" the answer was "you don't want to know." There are news stories in the past, of people that loosen bolts at night and bring down such towers. 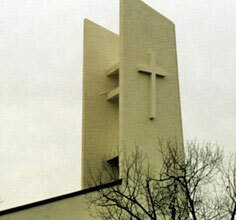 In America, antenna arrays are very often hidden in plain, white tapered church steeples in suburban areas. A custom built, modernized fiberglass copy of the original wooden church steeple is lowered into place with a crane, complete with antennas already inside. 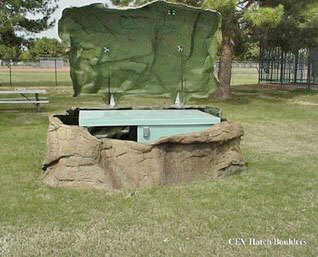 Cell equipment is also hidden from public view. But the radiation is still there. Micro-cell antennas are designed to serve a small cell area. These antennas are not 100 feet or more high like common cell towers in America, but often just 10 to 20 feet above the ground. However, these antennas also radiate microwave RF energy closer to people, too. Someone could stand or work beside such an antenna and not realize the effect it may have on them. Many are hidden in church steeple replacements, including Big-Ben-like structures, complete with working clocks on each of the four faces. 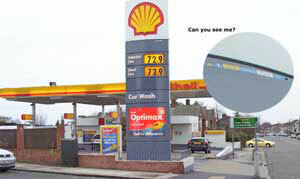 Workmen installing a near ground level antenna inside a sign (like the Shell station sign shown above) have people ask "what are you doing ?" The answer they heard was "you don't want to know." There are numerous UK news stories of people that loosen bolts and bring down such towers. In America, antenna arrays are very often hidden plain, white tapered church steeples in suburban areas. In general, all of us MUST keep in mind that the human body is an electrical system. It will be, and is affected by, outside RF energy fields that can promote unwanted nerve stimulation, cancer, heating effects, and many other unwanted effects. A comparison table for telephone effective radiation head exposure has been developed to provide reference values. This value varies considerably for dozens of different cell phone models tested. DNA breakdown is among the most disturbing findings of studies done, which can lead to illness and tumors. There are now new links to brain cancer being uncovered as you read this. There is new concern over those that wear cell phones on their belts, because of the close proximity of the antenna to kidneys. The liver which can rebuild itself to some degree after being damaged, but your kidneys cannot. One notices that RF exposure studies in the media from Europe are much more common and considerably more vocal than those done in America. Publishing negative study results in North America will have a negative effect on the billion dollar market, and subsequently affect stock in cell phone companies. Cell companies have managed to keep the lid nailed shut on the box, in so far as mainstream media are concerned, but this can only last for so long. I personally was not convinced of the damage potential of low level RF radiation for more than 20 years. That is, until reading a number of test results, all saying very much the same thing about observed detrimental effects on living organisms. At least one such study  on health effects was done in Australia. Note the usual scientific cautiousness expressed here, even though other studies have linked RF exposure to tumor growth. "Researchers in Australia have reported one of the first scientific hypotheses that normal mobile phone use can lead to cancer. The research group, lead by radiation expert Dr Peter French, principal scientific officer at the Centre for Immunology Research at St Vincent's Hospital in Sydney, said that mobile phone frequencies well below current safety levels could stress cells in a way that has been shown to increased susceptibility to cancer. The paper, published in the June issue of the science journal Differentiation, says that repeated exposure to mobile phone radiation acts as a repetitive stress, leading to continuous manufacture of heat shock proteins within cells. Heat shock proteins are always present in cells at a low level, but are manufactured in larger amounts when the cell is stressed by heat or other environmental factors. They repair other proteins that are adversely affected by the conditions, and are part of the cell's normal reaction to stress. However, if they are produced too often or for too long, they are known to initiate cancer and increase resistance to anti-cancer drugs. No link shown - Dr. French emphasized that no link has yet seen shown between the specific biological effects of mobile phone radiation and cancer, but that there was now a theoretical framework for such an effect that could be investigated. His previous work has included showing that the production of histamine, a chemical involved in asthma, can be nearly doubled after exposure to cellular frequencies. To date, most safety levels have been set on the assumption that damage is caused by heating effects of radio waves in human tissue, much higher than the levels at which Dr French claims heat shock proteins are triggered. His co-authors include Professor Ron Penny, the director of the Centre and one of Australia's leading experts in the cellular effects of HIV, and Professor David McKenzie, head of applied physics at Sydney University." SO WHAT IS THE TRUTH ? And even though numerous studies exist that prove the negative effects of low level RF fields on the human body, still there also those that claim no negative effects exist. So which is true? The more realistic studies are those that actually simulate human conditions, where rats in a cage were exposed to the same frequencies, power level and distance from the antenna as people are. Changes to their brain structure were observed after necropsies (animal autopsies) were performed. This is the type of science that ALL researchers should concentrate on - duplicating human cell phone conditions. People often mistakenly still think that since they are not talking on the phone, it isn't transmitting. To prove this, all one needs to do is to call a phone from another phone, and then call it when its off. Cell systems ping the phone whenever someone calls it even if they don't answer, as well as periodically pinging it (covert tracking) even when no one is using it. Pinging commands the phone's transmitter circuits power up and respond, which subsequently generates microwave radiation. The user has no control over these operations if the phone is in standby. Many newer phones today cannot be turned off, unless the battery pack is removed. This does not disable the satellite tracking chip however. We are being relentlessly bombarded both indoors and outdoors by many different forms of radiation. As more and more cell phones proliferate like reproducing rabbits out of control, radio bandwidth and channel limitations force companies to add more microcells. Many towers in cities will become obsolete, as these will serve too large of an area. The towers will be most likely converted to other mind control and tracking tasks we won't discuss here. Microcells are worse for humans as these directly result in more RF radiation, as a result of being located closer to people at ground level. There are no other options to keep the cell network operating, because of the limited nature of cell phone technology. Unfortunately the average person won't care, as long as their phone works when they pick it up. Increased RF exposure will inevitably lead to more illness from compromised immune systems, nervous system, brain disorders, organ problems, tumors and cancer. This problem is very much like cancer. An interesting fact about cancer is that everyone has a different susceptibility to it. Some people can smoke their entire lives and not become ill, yet live to be 99 years old. Others cannot. Some can drink hard alcohol their entire lives and never have health problems, while others cannot. The problem is you don't know how susceptible your body is until its too late. Do you want to wait to find out the hard way ? Is your life and health insurance current ? All the time we see cell phone foolishness. People often chuckle, sneer and shake their heads at those hooked on cigarettes standing outside stores, puffing away and working hard to accomplish heart attacks, strokes and cancer. These same laughing people then go into a store and place a call on their cell phone, to irradiate themselves. .......... see you later. Bye." Its hard to imagine anything more pointless. Somewhere a computer generates the "ching-ching" sound of a cash register, as this highly intellectual discussion just billed their account another dollar or more. They would actually get a better return on their money, if while driving down the road they rolled down the window and tossed the money out. Why a better return ? Because it won't destroy their health ! Personally, I don't own a cell phone, have no interest in owning one, and take comfort to know that when I pick up a PAYPHONE the radiation level is ZERO. And to add insult to injury - people are PAYING BY THE MINUTE TO GET SICK ! Imagine it ! Yet the average person doesn't seem to want to connect A to B. It's always the same old tired reply from people - "it can't happen to me, it will happen to someone else, the other guy." People need to use mirrors more often because staring back at them is "the other guy !" Children today can't seem to live without cell phones and pagers. This is so pathetic. Many spend a large part of their part-time job income to pay their monthly cell phone bills. Or they con their parents into paying for these toys they don't need. What madness is this ? With cell phone expenses running for some people a couple thousand dollars a year, wouldn't this money be better spent on college tuition ? Or buying gold and silver for when the economy tanks ? When I grew up, none of us had these toys. In theaters today, children and adults alike ignore the pre-movie requests to turn them off. So thoughtful they are of others, especially when they ring during a movie. It wouldn't do any good to tell them "what they can do with it" because you would only get a blank stare back. Ringing cell phones in restaurants and theaters are the real true form of hate speech. If my generation has done anything to brainwash children into thinking they MUST have these toys, I apologize for that. Perhaps the Madison Ave and 5th Ave. yuppies did this to our children ? Or did they manage to just follow temptation ? We may never know. When my children were growing up, the phone/pager craze was just beginning when they were teenagers. When our son hinted at wanting a pager, I replied "FOR WHAT ?" No real answer was forthcoming. He just wanted one because others had one. We are talking about the future health of our children. It is they who must start becoming concerned about the ill effects caused by imitating others. And the effects of endless strings of cell towers that stretch to the horizon. Today's children must start taking responsibility for the future of THEIR America in every respect. When we got into trouble as children and then claimed a friend lead us to do something wrong, many of us remember our parents asking us "if they jumped off a bridge, would you jump, too ?" So it is with cell phone use, and it began by thinking no one can live without one. Do we have wait for a major lawsuit award, where the plaintiff is sitting in a wheel chair slumped over from brain cancer proven to be caused by his cell phone to wake up ? By then it may be too late, because once you damage enough DNA it's only a matter of time. So just like cigarettes and excess alcohol consumption- perhaps the time to stop the increase in RF radiation is NOW. Right now, not tomorrow or the day after. NOW. What will be next cell antennas - office chairs with LAN antennas inside them ? A new form of the proverbial "hot seat ?" A different form of RF radiation is now causing some unusual effects on people. Very high frequency audible tones being heard by people all over the globe. What puts these sounds into the RF realm, is that they can be heard anywhere and are not directional. Our website is studying a number of odd scientific phenomena that few scientists (or no scientists at all) are studying. Some of these areas are not in mainstream science yet, but are real physical manifestations. Our non-profit website is unique, because we encourage public participation. I deeply appreciate the positive reviews of readers, and especially those who had to search for my email address. Rense readers consistently show they are quite up to date on the assault of our lives, both from misuse of technology and the increasing grip of the police state. My email address (tedtw@frontiernet.net) was missing from the above article for unknown reasons. Many have sent me supportive comments and details about their trials and tribulations regarding cell phone and tower RF exposure. Some are horror stories indeed. The commentary from Gary Chance above states that I did not address radioactive sources in the article. This was intentional as I pointed out early in the piece. Radioactivity is not the subject (or co-subject) of the article. Maintaining focus is important, as jumping subjects in mid-stream results in confusion. The only reason radioactivity was included, was to both make the distinction between two forms of radiation and also to show the similarities. The issue of mind control is a very large subject indeed. I've addressed this in more than one previous essay here on Rense.com. The www.data4science.net website has an entire section dedicated to the high frequency tone everyone is hearing across the globe. 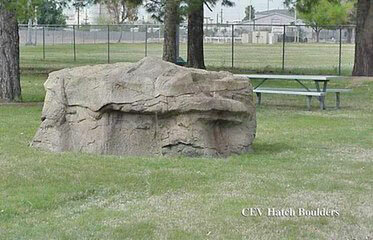 This can originate from satellite, or more likely, ground wave transmissions. What IS important, is that the RF is present. One needs to ask - why must we be exposed to it? This is the question everyone should be asking. High frequency sound (about 14-18khz) can result in sleeplessness, irritability, concentration problems and other brain related matters. Not only does the nervous system function on microvolt and millivolt signals- so does the brain. Interference with these processes can do great damage to one's lifestyle and work. Emails are being intercepted, and in some cases they are never delivered. Sometimes a simple email will not reach its intended destination at all. Interception is also related to content. There is considerable interference with the data4science.net website group e-letter updates. We ask the people at NSA to cease and desist from interference in purely science-related matters. As I've said in previous articles - not only did they form the internet, but they STILL OWN AND OPERATE the actual internet routing computers located at secret sites around the USA. Just as Alzheimers has now acknowledged it has to retreat when nicotine is in the air, we have the not-too-recent news that Nicotine is the only known substance that will pinch-hit for the loss of the brain's Acetylcholine (secretion) that allows the brain-spark - the immediate loss noted on encephalograms when a cell-phone is brought close to the head. Without the brain-spark, we never lifted our heads to wonder why there was a full moon for 3 days last autumn; we don't mind that the sun was seen setting in different positions only a day apart; we shrug when the sun seems to rise, then disappears but starts rising again ... all is perfect. Without the brain-spark there can be no "self"-reflection, and only the Drawer we call Logic which has been changed to a Drawer for rationality - 2 Densities below it. Why the terrific campaigns against smoking? Perhaps the reason is the same one that sends all able-bodied American men to a region where they can only return dying from effects of Depleted Uranium - to clean out all opposition possible by males, leaving the few pieces of society that will remain to be picked up by females, as always, after War. Please have a medical person you trust investigate this action during an encephalogram, for we need information from those we trust. Let it be a consulting adult (without earrings) that shows the effect, an adult that smokes, so that the encephalogram can show this restoration of the spark. Since such phones will be used regardless, please investigate if golden earrings disperse this deadly effect. We need help. We are looking for help. Thank you for your help. "The towers will be most likely converted to other mind control and tracking tasks we won't discuss here." "A. GOVT. CONTROLLED RADIOACTIVE SOURCES: Power plants, smoke detectors, medical treatment sources, etc..."
What he's doing is ignoring the far more serious threat from the abuse of electromagnetic radiation surveillance monitoring brain waves with a feedback activity. This is accomplished by satellite without any implants in the target. The unique brain wave halo pattern identifies each person. The feedback process induces electromagnet radiation into the human being, e.g., hearing. This is where the real threat exists because it is controlled and deliberately used maliciously. The ability to track and monitor totally anyone at anytime anywhere is now being used. While addressing the proliferation of electromagnetic radiation consumer devices is important, the problem of brain wave monitoring and feedback surveillance is far more serious. It will be used to stop people like Ted Twietmeyer and yourself so that control of anything else will be moot. Truth will become a thing of the past.